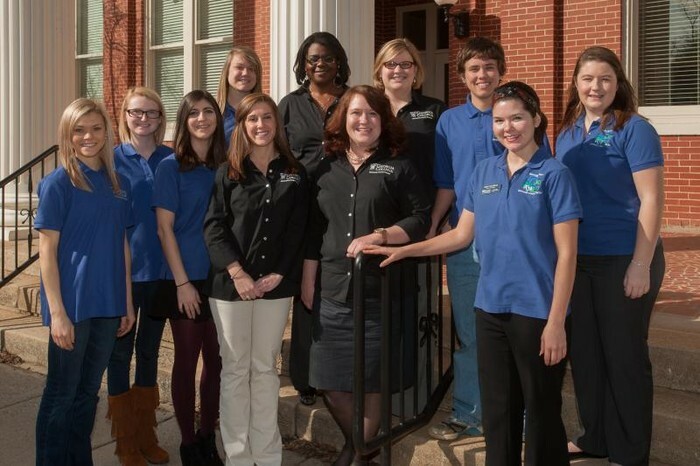 The University Career Center provides a variety of services to undergraduate and graduate students as well as alumni. Career Opportunities Fair on Wednesday! 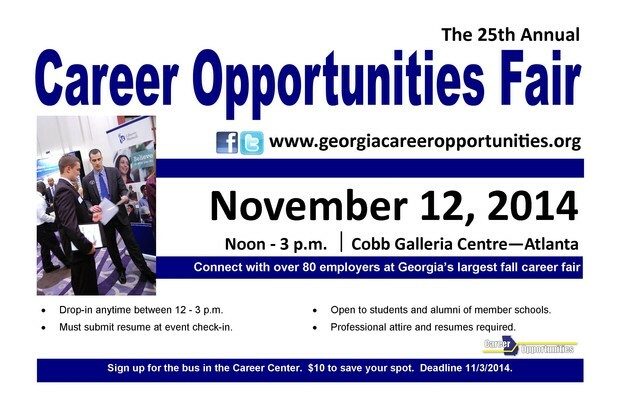 The Career Opportunities Fair is this Wednesday from 12-3 at the Cobb Galleria in Atlanta (see flyer below). This is a state-wide career fair and your chance to network with over 90 companies who want to hire for intern and full-time positions. You can find the full list of companies at www.georgiacareeropportunities.org. Plus, we made it even easier for you and booked a bus to go from Georgia College to the Galleria. All you need to do is put down a $5 deposit in the Career Center (110 Lanier) to hold your spot. Once you get on the bus, you get your money back! See how easy that is? You can also check out what's new with us by following us on Facebook at www.facebook.com/gccareercenter. 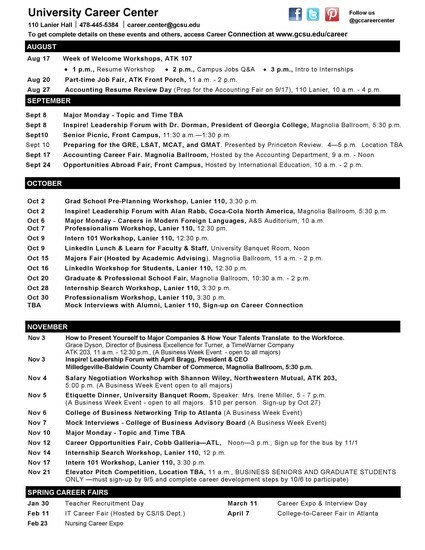 Connect with over 90 employers hiring interns and full-time hires at Georgia's largest fall career fair. Professional attire and resumes required. You can go on your own or take a bus with the Career Center. To reserve a spot on the bus, sign up in the the Career Center in 110 Lanier. $5 will reserve your space and we will give your money back once you get on the bus! Join us to learn tips to help you succeed in your internship search! Where should you search and how soon should you begin? What makes a good internship? Come get your questions answered! How do you succeed in your internship? How do you put your most professional foot forward? find out the answers to these questions and more! 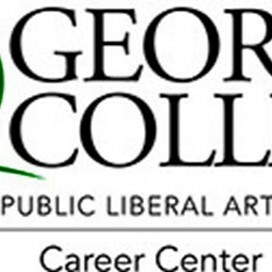 Click the button above to visit Georgia College Career Connection and view all current job and internship postings. This is a sample of the 200+ full-time jobs currently posted on Career Connection. This is a sample of the 100+ paid and unpaid internships posted on Career Connection. Connect with us on social media and drop by, call us, or email us if you have a question or need to make an appointment.